Give up your glasses without sacrificing sharp, clear vision. Proclear Toric is a leading soft contact lens for astigmatism available in a wide range of prescriptions to fit a variety of vision correction needs. 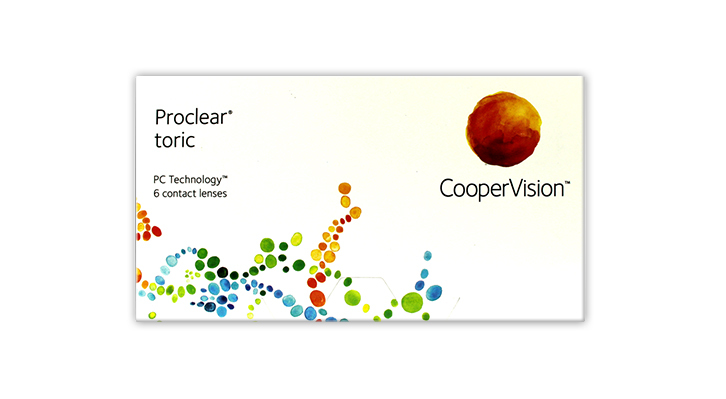 Proclear Toric is designed as a monthly replacement lens. Delivery Time: These lenses are to order and delivery time is 5 - 7 days. Delivery time for 8.4 radius is 15 -20 days, as this is a custom made lens.